A person’s behavior is a result of a mental map drawn by the five senses. As psychologists study the impact of mind on the body, they come up with valuable suggestions to their clients to improve their life with a refined set of behavioral traits. The key lies in proper advice and right guidance to fine tune their thought process and hone the mental faculties. If you draw a parallel to the modus operandi of a psychologist to a career counsellor, they are quite similar. That’s a surprising factor. Read more: Be a Career Counsellor! Psychologists assess the root cause of all the problems and suggest correctional therapies. They have put the subjects to certain tests to deep dive into their problems. Career counsellors use psychometric assessments to know students’ personality type and offer career-related suggestions accordingly, With the knowledge of educational psychology, Psychologists can draw the personality traits from the reports in a better way. And this aspect makes them good career counsellors. Now, that fuels the process to assess the career guidance courses and zero in on the best one. On the lines of a psychologist setting goals for treatment, a career counsellor sets career goals for students and creates a roadmap for success. A career counselling course helps the counsellor to identify the key attributes in a student profile and map them to their dream university requirement. The course also helps counsellors to chalk out SMART goals for the students. Psychologists help people to overcome their challenges and traumatic experiences. 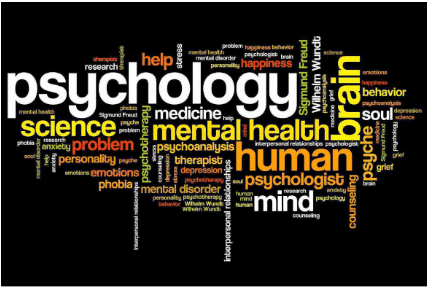 Likewise, career counsellors help students overcome the hindrances in career path and handhold them to make informed decisions, A psychologist can be a great career counsellor as the ability to emote and empathize with the subjects is a common trait in both the professions, All they need to do is put their hands on psychology counselling courses. 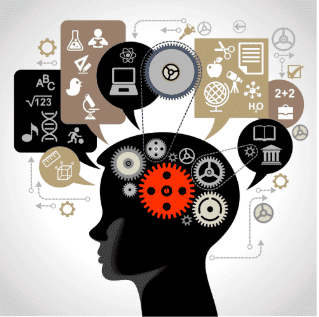 Yes, a psychologist can become a career counsellor, but the former should gain insights into various courses. That makes a career counselling course imperative and it checks all the boxes of requisite skills to take up the profession. Career counselling in India is a growing field and psychologists can up their ante by doubling up as career counsellors. Ask yourself if you have the passion towards Teaching as a profession and want to guide your students if the answer is yes, there’s nothing that can stop you. Consider yourself as one of those Super Teachers who goes the extra mile for their student’s success. Well, the list can go on, but as a professional one must also take up a course that will help in identifying, understanding and analyzing a student’s interests, strength, desire and behaviour. Ever since the Central Board for Secondary Education has made it mandatory for schools to have counsellors, progressive schools in India have been eagerly looking for professional & certified career counsellors. The excitement of finally getting your own classroom can be overwhelming. Whether you have been hoarding supplies all through your PGCE or are about to embark on a summer shopping spree, you will no doubt be keen to make your mark on your new temple of learning. When you are setting up your classroom, test out your seating arrangements; can you sit and see the board without craning your neck? Think about your colour scheme. Your hot pink and turquoise combo might have looked brilliant on Pinterest, but will it give some children a headache or be an unwanted distraction? And while you may have banked a million display and “area” ideas during your training, remember you have to put the needs of your children first. You might be imagining walking into a crisp and clean classroom, ready to work your magic. I can tell you now that this is not happening. Your room will probably be cluttered with the remnants of the last teacher to inhabit it and their displays will most likely still be up. But be positive about it, embrace the cathartic clear-out and take care of things without any grumbling; you don’t know who your new room belonged to last − or how many of their friends are still working at the school. Your new children will be keen to get to know you and your personality, so don’t be afraid of sharing it. Whether that’s through an interesting memento on your desk or your favourite book in the reading area, it will help to start conversations and build rapport. Your laminator is smoking, you have staple-gun blisters… stop. The excitement of setting up your first classroom can put you into a pre-term giddiness of filling every last inch of your space with wiggly-bordered loveliness. But a cluttered space won’t create a good learning environment. Think about having room to learn and to move. Yes, you want to “wow” your new class with their beautiful learning environment, but you have to remember that it belongs to them as much as to you. Your classroom needs to grow along with your children. Ensure they have the space to put their stamp on it, too.